Keep your spices Fresh and Organized with this 12 jar spice rack. 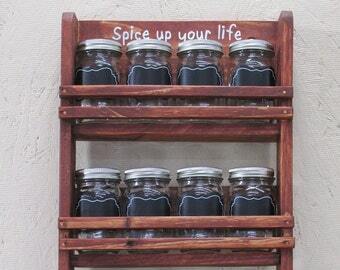 This spice rack is unique in that it uses miniature Mason jars (4 oz) for the spice containers which fit perfectly with Rustic Mason jar décor. 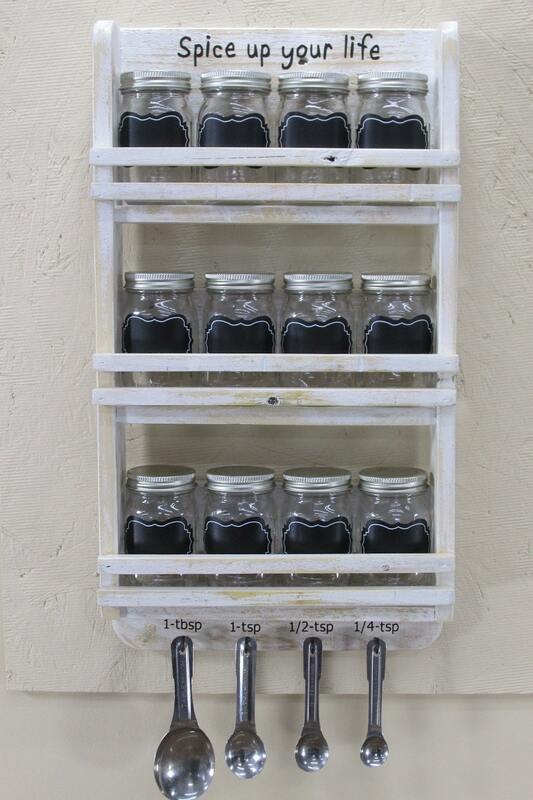 The Spice rack is made from reclaimed Pallet wood; it is designed to hold 12 individual spices in 4 oz Mason jars. 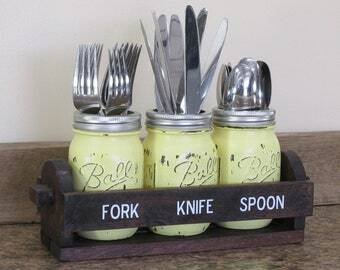 It also has hooks on the bottom to keep those measuring spoons handy. 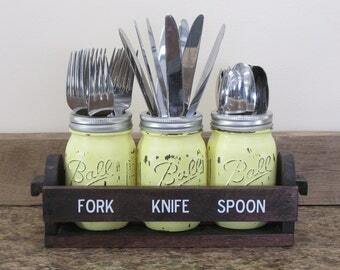 This makes the perfect gift for weddings, housewarmings, Mothers Day, or just a treat for you in your own kitchen. 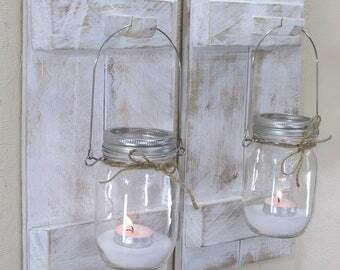 Perfect for our coastal decor.